Trying to hold a picture or photo in one hand while painting with the other is frustrating. This clip holds pictures firmly in place, enhancing accuracy and productivity. Simply hook the front of the clip to the front edge of any stretched canvas, and attach the arm to the clip to use. Quite the convenience, the Picture Clip has an instant snap-on, snap-off design so it attaches in seconds. 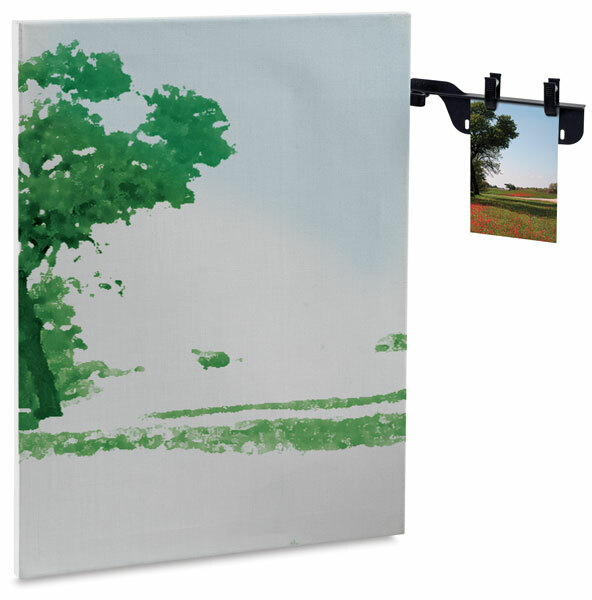 The Picture Clip also has two clamps to hold even large pictures or magazines and an adjustable arm that angles easily to accommodate viewing needs and eliminate glare. ™ Easy to Use Products is a trademark.